(1) Following the retrospective application of the amendment to IAS 19 – Employee benefits from January 1, 2013, the figures reported in the income statement for the first half of 2012 have been restated as appropriate. (2) Following the retrospective application of the amendment to IAS 19 – Employee benefits from January 1, 2013, the figures reported in the statement of financial position at December 31, 2012 have been restated as appropriate. For the first half, Group revenues totaled €12.7 billion, representing a 1.4% increase over the same period in 2012 (up 3.8% on a constant currency basis). Sales increases for the Agricultural Equipment and Powertrain segments compensated the reduction in volumes for Construction Equipment and Trucks and Commercial Vehicles. The Agricultural and Construction Equipment sector reported revenues of €8.2 billion for the first half of 2013, a 3.8% increase over the same period in 2012 (up 6.5% on a constant currency basis), as net sales of Agricultural Equipment increased 9.6% while decreasing 17.5% for Construction Equipment, despite an improvement in the Latin American market. The Trucks and Commercial Vehicles sector posted revenues of €4 billion for the first half of 2013, a 4.8% decrease over the same period a year ago (down 3.0% on a constant currency basis). The Powertrain sector reported first half revenues of €1.6 billion, an 8.5% increase over the first half of 2012 (up 9.0% on a constant currency basis) mainly driven by an increase in volumes. Sales to external customers accounted for 32% of total revenues (33% for the first half of 2012). For the first half, Group trading profit totaled €1,041 million (trading margin: 8.2%), compared with €1,058 million for the first half of 2012 (trading margin: 8.5%). The €17 million decrease was attributable to the lower result for Trucks and Commercial Vehicles – reflecting negative volume/mix, pricing pressures and negative exchange rate impacts – which was only partially compensated for by improved results for the Agricultural and Construction Equipment sector driven by higher volumes, positive pricing and a favorable product mix. Trading profit totaled €1,015 million for the Agricultural and Construction Equipment sector (trading margin: 12.4%), up €169 million over the €846 million trading profit for the first half of 2012 (trading margin: 10.7%), as higher revenues, improved product mix, and positive net pricing compensated for increased R&D expenditure and selling, general and administrative costs. Trucks and Commercial Vehicles closed the first half with a trading loss of €8 million, compared with a profit of €189 million for the corresponding period in 2012. The decrease was attributable to negative volume/mix, pricing pressures and unfavorable exchange rate effects. Powertrain closed the first half with trading profit of €52 million (trading margin: 3.3%), in line with the trading profit for the corresponding period in 2012 (trading margin: 3.6%). For the first half, operating profit totaled €982 million, an increase of €55 million over the €927 million for the first half of 2012, reflecting a €72 million decrease in net unusual expense which was partially offset by a €17 million decline in trading profit. Restructuring costs totaled €14 million for the first half of 2013, compared with €131 million for the first half of 2012. In both cases, they related to the Trucks and Commercial Vehicles sector. There was other unusual expense of €45 million for the first half, including €31 million associated with the unwinding and consolidation of the former joint venture with Barclays within the Group’s Financial Services business. For the first half of 2012, other unusual income/(expense) totaled zero. For the first half, net financial expense totaled €230 million compared with €222 million for the first half of 2012). Result from investments totaled €53 million, an increase over the €43 million for the first half of 2012, mainly reflecting improved results for joint venture companies. Profit/(loss) before taxes for the first half of 2013 was €805 million compared with €748 million for the same period in 2012). Income taxes for the first halftotaled €306 million compared with €295 million for the same period in 2012). The Group closed the first half with a net profit of €499 million (€536 million excluding unusual items). For the first half of 2012, net profit was €453 million (€533 million excluding unusual items). Profit attributable to owners of the parent was €410 million for the first half of 2013, compared with €392 million for the same period in 2012. Equity attributable to owners of the parent of Fiat Industrial S.p.A. at June 30, 2013 amounted to €4,644 million compared with €4,628 million at December 31, 2012. At June 30, 2013, consolidated net debt totaled €17,699 million, up €1,705 million over year-end 2012 (€15,994 million). Excluding approximately €118 million in negative currency translation differences, cash from operating activities for the first six months was more than offset by increases in the loan portfolios of financial services companies, as well as capital expenditure and dividend distributions during the period. On February 7, Fiat Industrial S.p.A. completed renewal of a 3-year €2 billion committed revolving credit facility with a group of twenty-one banks. The facility is available for general corporate purposes and working capital requirements and replaces the 3-year €2 billion facility signed in December 2010. At the Annual General Meeting on April 8, shareholders approved the 2012 statutory financial statements and distribution of a gross dividend of approximately €275 million. A new Board of Statutory Auditors was also elected for the three-year period 2013-2015. In recent months, significant steps toward the integration of Fiat Industrial and CNH have been completed. 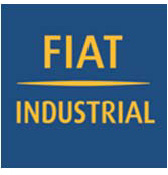 The shareholders of Fiat Industrial S.p.A. and CNH Global N.V. approved the mergers of Fiat Industrial and CNH Global with and into a newly-established company to be named CNH Industrial N.V. At completion, Fiat Industrial shareholders will receive one common share in CNH Industrial for each Fiat Industrial share held and CNH shareholders will receive 3.828 common shares for each CNH share held. Shareholders participating in the respective extraordinary general meetings called to approve the mergers may also elect to receive one CNH Industrial special voting share for each CNH Industrial common share to be received, provided they have held the original shares continuously from the record date for the relevant extraordinary general meetings to the effective date of the merger. In addition, Fiat Industrial shareholders exercising the right of withdrawal – which is subject to completion of the merger – will receive a redemption amount of €8.897 per Fiat Industrial ordinary share. The merger is subject to certain conditions precedent, including the condition that the aggregate cash amount payable to withdrawing shareholders and to creditors opposing the merger under Italian law does not exceed €325 million. On August 9, Fiat Industrial S.p.A. announced that the withdrawal right of its shareholders had been exercised in relation to 2,741,655 shares having an aggregate redemption amount equal to €24,392,505. From August 12 until September 10, 2013 such shares will be offered to Fiat Industrial shareholders not having exercised the withdrawal right at the price of €8.897 per share.